^^ *purrs* this baby girl happy you got so many watchers. *squeals delightedly and laughs and smiles* Yay, party hat! ^^ Dat tickles! *squeaks and gasps and laughs helplessly and squirms and ends up a very soggy cub* ut oh, I wet *giggle* good thing got thick diapers. daddy ! snuggles you tight when we going to have a role play daddy ? Oh FoxPatronus :o and :D! This is definitely good news for you and me with everyone else out there X3 and ^_^, and most of all this is definitely big news as well too :3 and =3. I'm glad that you were stunned to find out for yourself that you had reached your first ever watch limit in the form of fifty watchers themselves since I was considered to possibly be your 34th watcher myself since I estimated that for myself one way or another for sure FoxPatronus X3 and ^=^, and also I do want to truly congratulate you on your 50th watcher limit reach so much since I am very pleased to hear about this just now or so for myself and I am truly and very proud of your for reaching 50 watchers for you as well too X3 and :3. Oh :o! 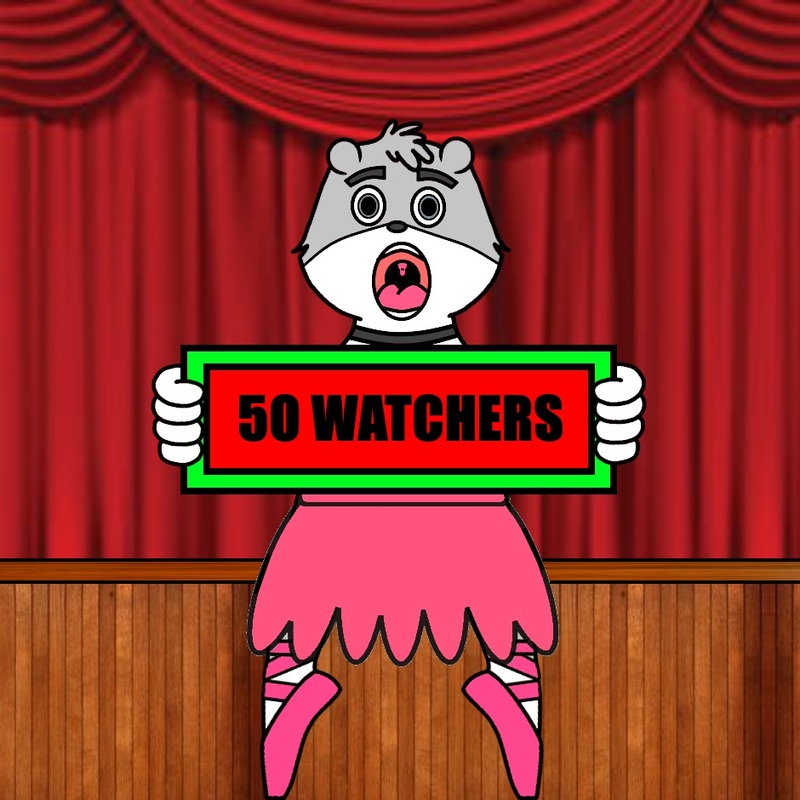 I like your picture for the 50 watchers reached limit achievement so much and how you made it as well too X3 and XD. Congratulations once again on your 50 watchers limit reached achievement FoxPatronus :D and =D, take good care of yourself, peace to you, take it easy, be good, keep up the good work, I do hope to see more of your own best art from you real soon and I'll talk to you and see you again soon :3 and ;3. Oh :o! And consider me favoring this for my favorites list with a three star favorites rating as well to celebrate your 50 watchers achievementX3 and :3, and add it to my list for an unforgettable memory for me and the others as well too =3 and ;3. P.S. And make sure to celebrate with me and the others that made your watchers list for the 50 watchers reach limit as long as we can too =3 and ;3.